Purple and black scarf Yak wool, woven by craftsmen in Nepal. Soft and warm wool, from the very dense layer of Yak which allows it to hold at extremely low temperatures. The Yak is a large species of ruminant with long fur of the Himalayas. Mixed green and black scarf Yak wool, woven by craftsmen in Nepal. Soft and warm wool, from the very dense layer of Yak which allows it to hold at extremely low temperatures. The Yak is a large species of ruminant with long fur of the Himalayas. Plain black scarf Yak wool, woven by craftsmen in Nepal. Soft and warm wool, from the very dense layer of Yak which allows it to hold at extremely low temperatures. The Yak is a large species of ruminant with long fur of the Himalayas. Yak wool scarf, striped, maroon, turquoise, dark blue and light blue, with bottom band blue, gray and black mixed.Soft and warm wool, from the very dense layer of Yak, ruminant with long fur of the Himalayas, which allows it to hold to extreme temperatures.Woven by craftsmen in Nepal. 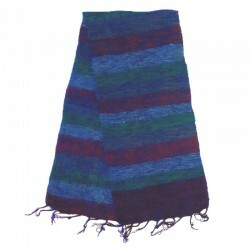 Yak wool scarf, blue, purple and green stripped, woven by craftsmen in Nepal. Yak wool scarf, blue and maroon, woven by craftsmen in Nepal.Soft and warm wool, from the very dense layer of Yak, ruminant with long fur of the Himalayas, which allows it to hold to extreme temperatures. 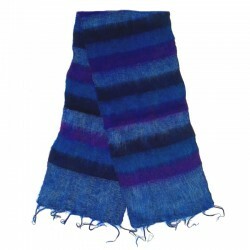 Yak wool scarf, striped, light blue, purple, turquoise and dark blue, with bottom band dark blue and black mixed.Soft and warm wool, from the very dense layer of Yak, ruminant with long fur of the Himalayas, which allows it to hold to extreme temperatures.Woven by craftsmen in Nepal. 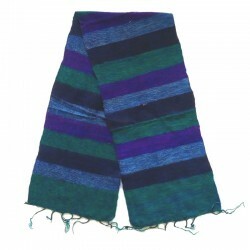 Yak wool scarf, blue, purple and green stripped, woven by craftsmen in Nepal.Soft and warm wool, from the very dense layer of Yak, ruminant with long fur of the Himalayas, which allows it to hold to extreme temperatures. 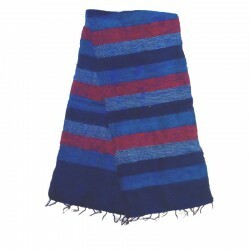 Yak wool scarf, blue and blue-red, woven by craftsmen in Nepal.Soft and warm wool, from the very dense layer of Yak, ruminant with long fur of the Himalayas, which allows it to hold to extreme temperatures. Yak wool scarf, striped, turquoise, purple, light blue and dark blue, bottom band purple and black mixed.Soft and warm wool, from the very dense layer of Yak, ruminant with long fur of the Himalayas, which allows it to hold to extreme temperatures.Woven by craftsmen in Nepal. 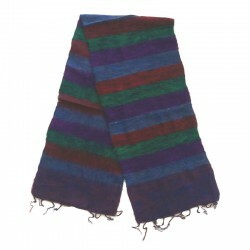 Yak wool scarf, night blue, blue-green and blue-red stripped, woven by craftsmen in Nepal.Soft and warm wool, from the very dense layer of Yak, ruminant with long fur of the Himalayas, which allows it to hold to extreme temperatures. 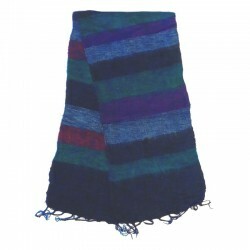 Yak wool scarf, blue-green, night blue and purple stripped, woven by craftsmen in Nepal.Soft and warm wool, from the very dense layer of Yak, ruminant with long fur of the Himalayas, which allows it to hold to extreme temperatures. 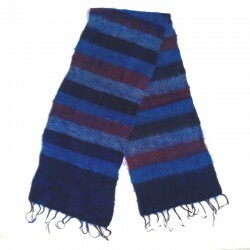 Yak wool scarf, blue, brown and blue-red stripped, woven by craftsmen in Nepal.Soft and warm wool, from the very dense layer of Yak, ruminant with long fur of the Himalayas, which allows it to hold to extreme temperatures. Yak wool scarf, striped, woven by craftsmen in Nepal.Soft and warm wool, from the very dense layer of Yak, ruminant with long fur of the Himalayas, which allows it to hold to extreme temperatures. 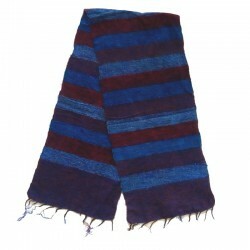 Yak wool scarf, dark blue, blue-pink and brown stripped, woven by craftsmen in Nepal.Soft and warm wool, from the very dense layer of Yak, ruminant with long fur of the Himalayas, which allows it to hold to extreme temperatures. Yak wool scarf, gray, brown, green and maroon striped, woven by craftsmen in Nepal.Soft and warm wool, from the very dense layer of Yak, ruminant with long fur of the Himalayas, which allows it to hold to extreme temperatures. 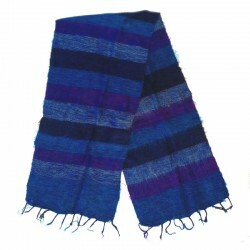 Yak wool scarf, blue and purple, woven by craftsmen in Nepal.Soft and warm wool, from the very dense layer of Yak, ruminant with long fur of the Himalayas, which allows it to hold to extreme temperatures.